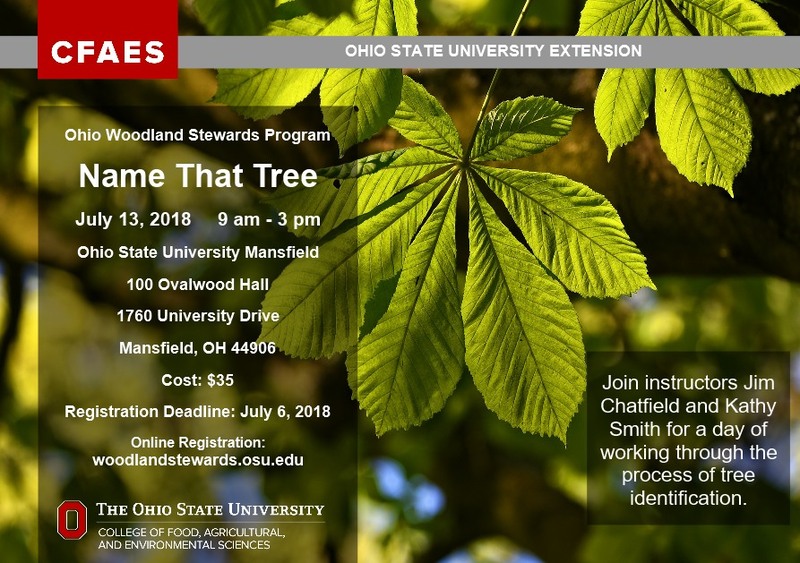 The Ohio Woodland Stewards Program announced Name That Tree, an all day program to increase your tree ID skills. The program will be held in Mansfield, Ohio and will include both indoor and outdoor components. The cost of the program is $35.00 and the registration deadline is July 6, 2018.